Tom Deller started slow in this April 1988 game for the University of Kentucky, but he still got the win, the school's paper wrote. Deller gave up two runs in the first, but went seven innings in a performance that gained praise from his head coach Keith Madison. "It was a really gutsy performance - Tom threw 140 pitches and that's a lot of pitches for him," Madison told The Cats' Pause. "He competed very well." Deller went on from Kentucky to turn pro, no matter how he competed, he never got to compete in the majors. His career lasted two seasons. 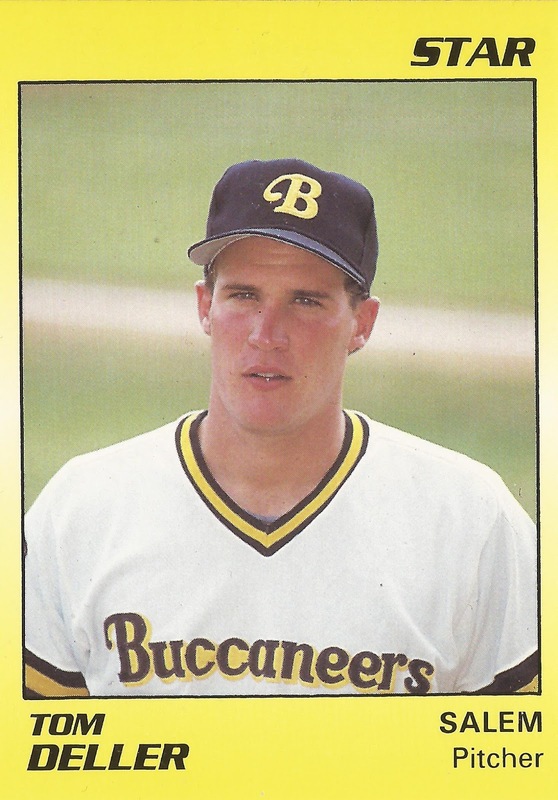 A native of Bowling Green, Deller's career began in 1989 as a 40th-round pick by the Pirates out of Kentucky. At Kentucky, Deller turned in a 4.55 ERA in 1989 on 18 appearances. He struck out 199 in his college career, good for 10th all-time at the school. In 1986, he was one of 30 players invited to try out for the USA Baseball Team at the World Championships. 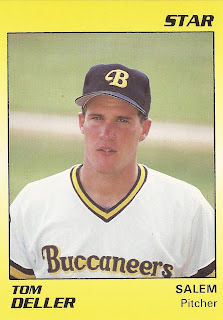 With the Pirates in 1989, Deller played at short-season Welland. He went 1-1 over 28 relief outings, with a 2.36 ERA. He also saved seven. He had four of his saves by early July. He moved to high-A Salem in 1990. He got into 16 relief outings thee, with a 4.43 ERA to end his career. In 2016, Deller was in West Virginia with his wife and daughter as The Huntington Herald-Dispatch featured their daughter's battle with a seizure disorder.